[UPDATED MAY 2017] Freelancing is not a carefree trip to success – it is an uphill battle that punishes the ill-prepared. Seasoned freelancers know this all too well. Then there’s the “issue” of freelancers who are based outside of North America (where dealings with clients – many of which are in the same area). Like it or not, the pool of freelance writers has expanded, and we can be found all over the world. Whether you’re new or experienced, based in North America or elsewhere, you’ll want to equip yourself with tools that make your work efficient and give you the highest possible returns. 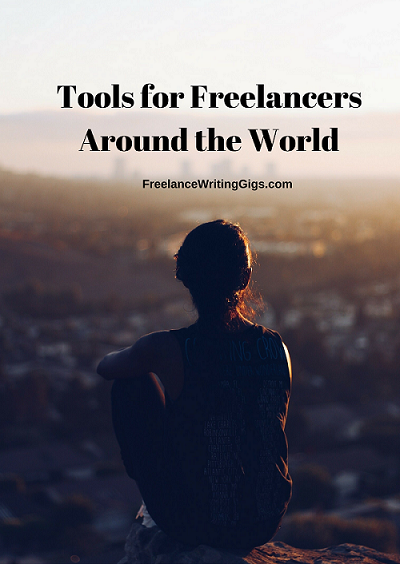 Here are some of the best tools for freelancers worldwide. Trello is one of the most efficient tools you can use for project management. It allows you to organize your tasks into cards, group them into different lists, and then aggregate them into separate boards. A great way to use Trello is to designate a board for each client and create different lists for ongoing projects. For individual tasks, add new cards into lists and fill in the details such as deadlines, attachments, and checklists. You can freely drag cards to a different list or move them to another board as you see fit. Asana gives you two options for managing your tasks. For quicker access to details, you can organize them using the list layout. For better organization, you can use the board view which works similarly with Trello. 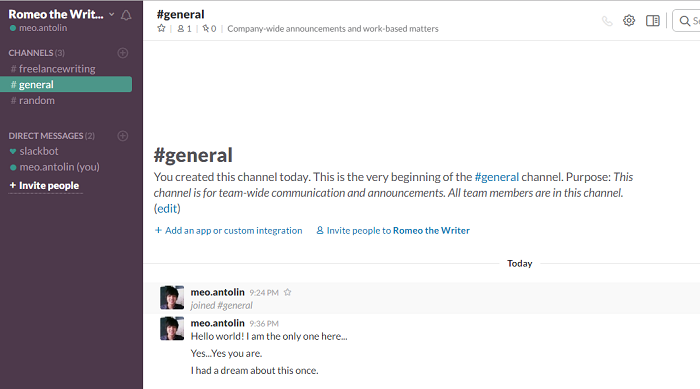 One advantage of Asana over Trello is that you can have team conversations right within projects. This allows everyone to stay on the same page regarding the project’s progress. You can also use a calendar to have an overview of the project and quickly spot tasks that need priority. If you need a simple way to manage your daily tasks, then Wunderlist is the platform for you. It is a lightweight app that allows you to list down your tasks and check them off when completed. Wunderlist also allows you to group lists into folders. This prevents your dashboard from becoming a cluttered mess. You can also share lists with clients and allow them to initiate conversations through comments. Sometimes, all you need is a tool that will help you collect your thoughts and plan your objectives. With Evernote, you can do both and more. Evernote is a flexible note-taking app that allows you to organize anything – from your freelancing career to your personal life. Aside from text-based notes, you can also create audio notes, webcam notes, and handwritten notes. You can also clip web pages using a browser extension and sync notes across multiple devices. 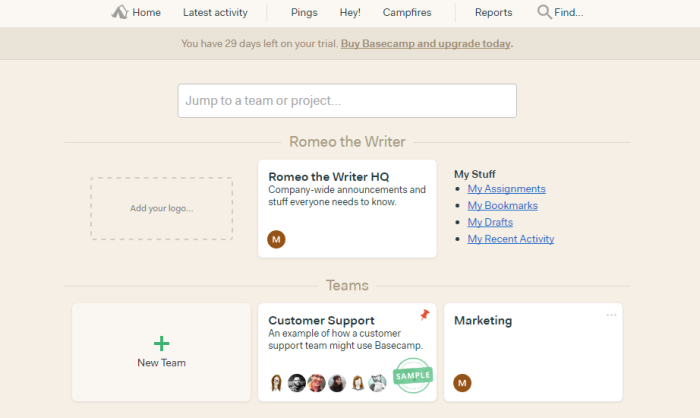 Most of Basecamp’s features are geared towards freelancing businesses on the verge of growth. Its main dashboard allows you to manage your teams, business profile, and projects in a single location. Basecamp is a tad more comprehensive than the rest of the project management platforms in this list. 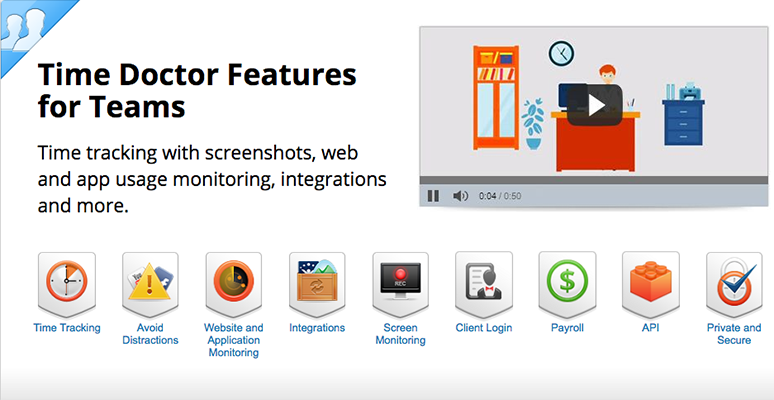 It offers different modules for task management, communication, scheduling, file management, and so on. To make the most of this tool, it’s better if you have a team of at least three people. 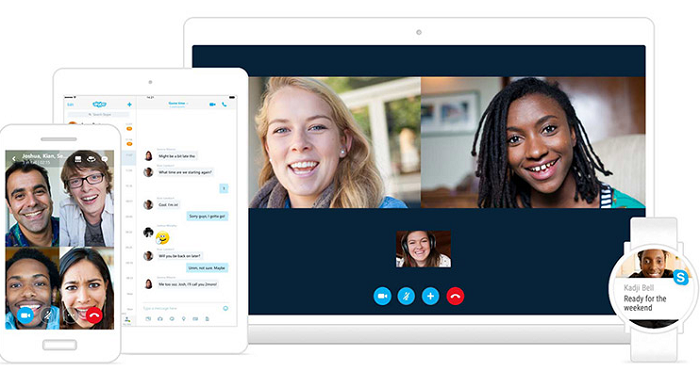 When looking for work, you’ll find a number of different clients who prefer using Skype for communication. It is fast, dependable, and compatible with most internet-capable devices. Skype is the go-to app for video calls that clients prefer to use when interviewing freelancers or remote-based employees. It also has other features such as group conferences and screen sharing for better collaboration. Slack is another messaging platform that can help you keep in touch with clients, freelancing partners, and other key contacts. It features a simple interface that lets you initiate direct messages as well as group conversations or channels for various purposes. Aside from text-based messages, you can also send file attachments from your computer, Google Drive, or Google Docs. 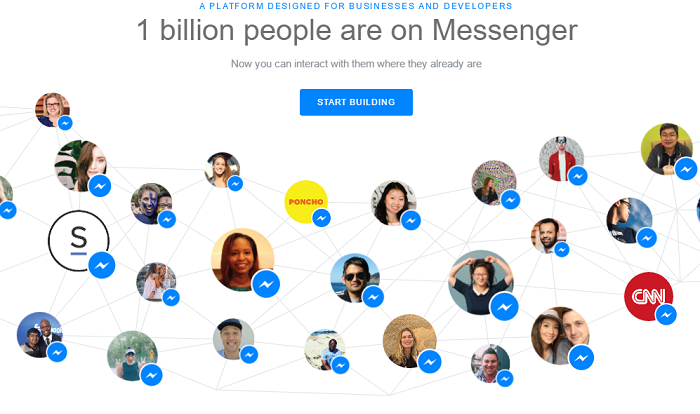 One of the reasons why Facebook’s Messenger is included in this list is because it constantly evolves. Right now, it’s capable enough to facilitate video calls, create chat groups, add attachments, and plan events with your prospective clients or teammates. It’s also one of the tools for freelancers around the world that is ultra-accessible, both for clients and freelancers. Another advantage of Messenger is that it syncs directly with your Facebook account – making it easier for you to manage all your contacts. It also available through a lightweight mobile app that consolidates your SMS and online conversations. Transferwise is a no-nonsense tool that allows you to transact online. It’s one of the best Paypal alternatives. After setting up your account, you can immediately send any amount–in any currency– to anyone. You can also use the request money feature to be at the receiving end of the transaction. Just like the rest of the app, the request money feature is quite straightforward. You just need to supply the necessary details such as the total amount, bank name, and currency before you can send the request link to your client. Joining only takes a minute and costs nothing – making the payment process completely hassle-free for your clients. Another Paypal alterntive, Wave is a comprehensive money management app that can help you send invoices and manage your budget. It also comes with built-in accounting features that freelancers can use to run their enterprise. The best thing about Wave is that all of the core services can be used for free. In some countries, you can pay for credit card processing and payroll services. Otherwise, you can use the platform to look for local service providers for accounting, bookkeeping, consulting, and tax preparation. 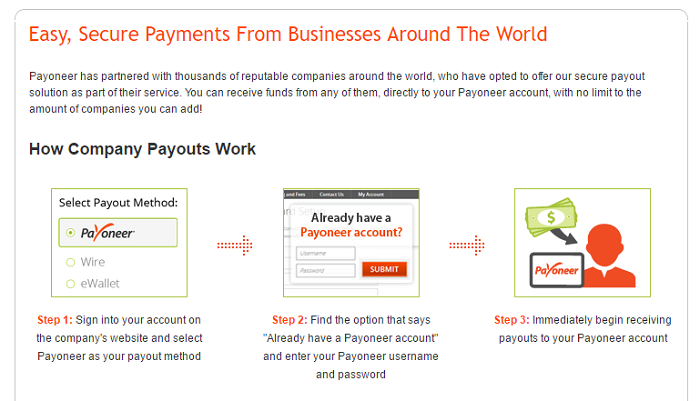 Many freelancers choose Payoneer to receive secure payments from all around the world. Unlike bigger platforms like PayPal, Payoneer charges low transaction fees and no hidden costs. 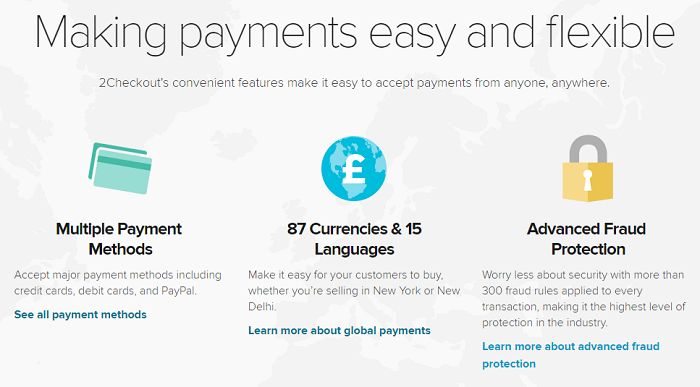 This is why it is one of the most popular PayPal alternative to date. With a Payoneer account, you can get your own prepaid MasterCard which you can use in over 200 countries. This is highly beneficial to freelancers who travel a lot and require easy access to their earnings. You can also take advantage of Payoneer’s billing services to create automatic payment reminders for your clients. 2Checkout is a solid alternative to PayPal due to simplicity and extensive fraud protection. It allows freelancers and online business owners alike to receive funds globally from over 211 markets. To use 2Checkout, you must first integrate it along with a shopping cart plugin into your own website. This may take a bit of work, but once set up, you should be able to send payment requests easily. Lastly, the platform utilizes a percentage-based pricing model that vary by country. It’s best to check out their pricing calculator yourself if you consider using their services. If you want to take your freelancing business to the next level, then you should consider using FreshBooks as the main platform for managing your finances. It is a cloud-based accounting software that also features time tracking, invoicing, client management, and other services designed for self-employed professionals, freelancers, and small business owners. FreshBooks comes with a built-in project management that allows you to collaborate with your team within the platform. If you prefer, you could also integrate other platforms such as Basecamp to streamline the way you handle your freelancing business. Google Wallet may not be the first thing that comes to mind when talking about how freelancers can get paid, but it is a brilliant method. You’re probably already using the Google suite of apps. Wallet is free to use. You don’t have to manually cash out if that’s what you prefer – you can set it up so that the money you receive goes straight to your bank account. If you’re going to send money, you can do so using an email address or phone number. The recipient doesn’t even have to have the Wallet app. Since Wallet is mainly used for personal purposes, you have to make sure that the commercial setting is turned on if you’re going to use it as a way to accept freelance payments. Learn more here. Another PayPal alternative perfect for the freelancer who travels the world is Payza. It offers a lot of options that you’ll find enticing: a prepaid card (Visa/Mastercard) which you can use as a credit card or ATM card, Bitcoin support, and support for 190+ countries. For the full schedule of fees, visit their support page. While Remitly caters to a limited number of countries – only in Central & South America and Asia – it was created to meet the needs of freelancers who cannot afford to waste a single cent on fees. The founder’s mission is inspirational, and it translates directly to benefits for the freelancer. It is free to send money using the Economy option. The downside is it takes 3 days for the transfer to go through. If you urgently need the cash, then the option is Express, which costs $3.99. In most cases, Economy will suit your needs. A lot of people think that freelancing means you get to work wherever you want. This isn’t exactly true because, as a freelancer, you have specific workplace requirements to ensure your productivity. That’s why you need a tool that can help you spot potential workplaces so you can stay productive on the go. With Workfrom, you can search for the perfect workplaces regardless of your requirements – be it public accessibility, fast WiFi, or well-equipped co-working stations. Its search engine allows you to specify your current location so you can easily find the best spots near you. 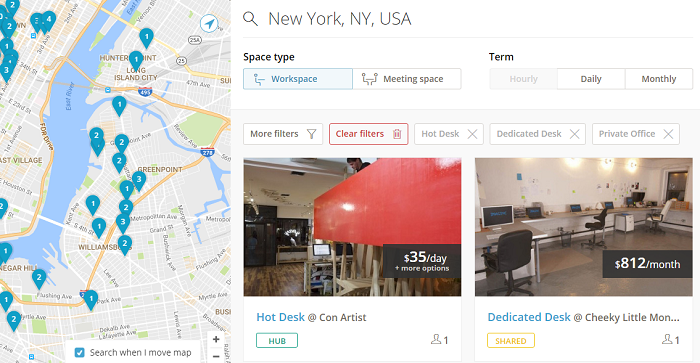 Workfrom is perfect for freelancers who require frequent travel. To filter the location results, you can select the Public or Private check boxes above the list. You can also toggle other filters such as air conditioning, outdoor, food, and so on. ShareDesk is a great alternative to Workfrom if you need to look for existing work or meeting spaces. Although using the search engine is free, most available spaces are high-end and costly. Before you take on the heavy duties of a freelancer, you must first go through the stressful process of finding work. Aside from our daily job listings and our Job Board, there are other freelancing marketplaces that can help you connect with businesses that need your skills. Freelancer is one of the best platforms you can use to find work opportunities that align with your expertise. To increase the likelihood of being hired, make sure to edit your profile, set your rates, and consider obtaining certifications through skill tests. Registering for a Freelancer account and bidding for projects are both free. However, you are limited to only 8 bids unless you sign up for a premium account. Your bids recharge over time, but to ensure a steady stream of work, you’ll need a professional membership for a total of 1,500 bids per month. Fortunately, the premium account has a 30-day free trial. If you’re successful during that period, then you should have no problem affording a premium account for the following months. Another way to look for freelancing work is to use Upwork – a merger between Elance and oDesk. Just like Freelancer, you need to bid for jobs and build a solid profile to attract new clients. The main difference is that Freelancer charges for bids and added benefits while Upwork utilizes a sliding fee structure. Simply put, you get to keep more of your earnings as you do more business with long-term clients. By the time you’ve reached the $10,000 mark, Upwork will deduct 5% from future payments. Another way to look for jobs as a freelancer is to browse listings on websites like Craigslist. To save time, you can run your search through SearchTempest – a search engine specifically designed for Craigslist, eBay, Amazon, and Oodle. Using a time-tracking tool like Toggl is essential if you want to provide accurate invoices to your clients. It works by utilizing the time you’ve logged to easily create billable time entries. Freelancers can also take advantage of Toggl to stay focused and better manage their time. By reviewing the amount of time you’ve spent on certain tasks, including rest periods, then you should be able to develop a work pattern that will maximize your productivity. 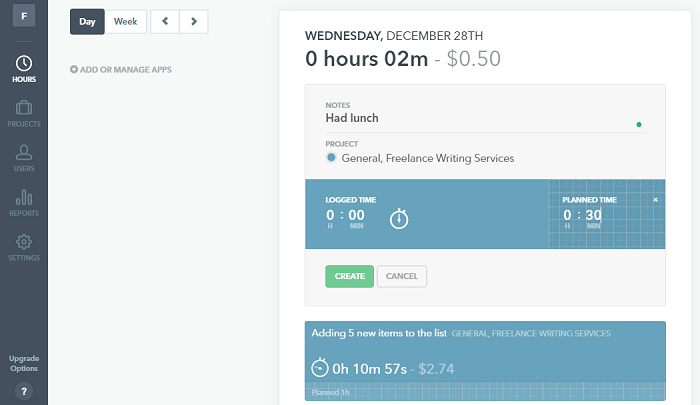 Timely is another time-tracking app that allows you to create billable timesheets. It integrates with calendar platforms like Google Calendar and Outlook so you can stay right on schedule. Upon creating a new project, Timely allows you to specify your hourly rate, the client you’re working for, and the amount of time you plan to allot to certain activities. You can also invite other users to unify time-tracking when working on big projects. Time Doctor is an accurate time tracking tool that helps you know where and how you spend your time at work. It gives you a clear picture of your workday down to the very last second. Officially launched in September 2016, Hubstaff prides itself in being a zero-fee platform for freelancers. They cater to both businesses and freelancers (various industries), so that they can find the best matches for their needs. It works much like Guru, Upwork, and Freelancer. The difference is that you pay nothing. Improve your copywriting skills. Read our e-book about leveraging competition and creating and using a swipe file. Thank you for this list. Would like to suggest the addition of Rounded which is built for Australian freelancers as well as IFTTT and Mailchimp and RescueTime. 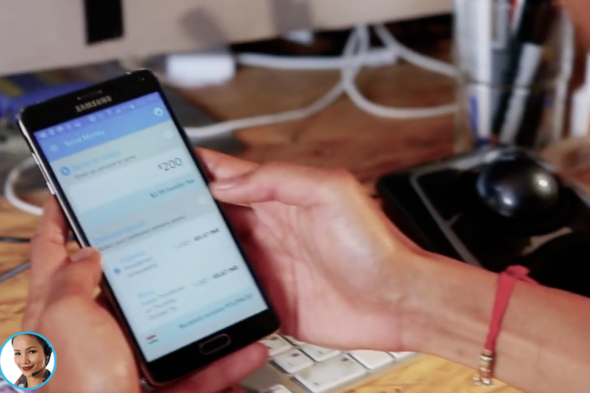 ROunded integrates with Stripe so that takes the hassle out of payment issues. If you aren’t successful at winning enough bids, both Freelancer and UpWork lock you out/suspend your account so please be aware of that. Thanks for the adds on Marisa. 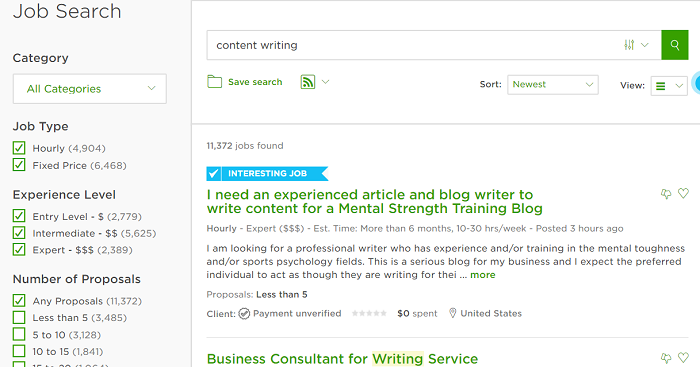 Good to know about the UpWork as I was just thinking of trying it out. Otherwise, I would like to suggest one addition too, its a tool, which has helped me greatly to plan my project on a more detailed level, that I could’t get done with Evernote or Trello. Its called Hub Planner https://hubplanner.com. I do still use Trello for high level planning though next to Hub Planner. Great tools. You could also add proofhub to the list. It a great management and collaboration tool, very helpful for bloggers. 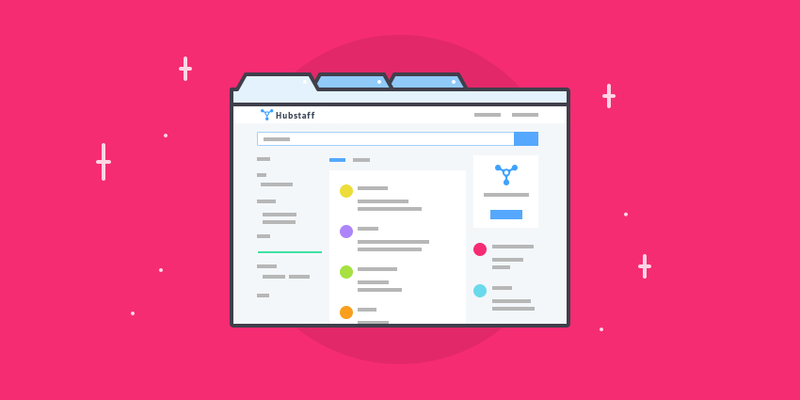 Helps in keep all documents, designs, and conversations in one central place. The inbuilt proofing tool is a big bonus! I’d like to add our time tracking tool clockodo https://www.clockodo.com/en/ to the list. It’s build espacially for freelancer and small companies and has many interfaces to invoicing tools. Besides the feature list, it’s important that the tool of your choice integrates well in your existing tools infrastructure. Thank you for the informative article about the amazing tools. You can also add Merrchant to the list that is an excellent application for managing your accounts and taxes in an easy and reliable way. It is beneficial to the freelancers and small business owners who finds accounting to be a tedious task. No Canva in the list?